Looking to improve your experience with your IT vendors? 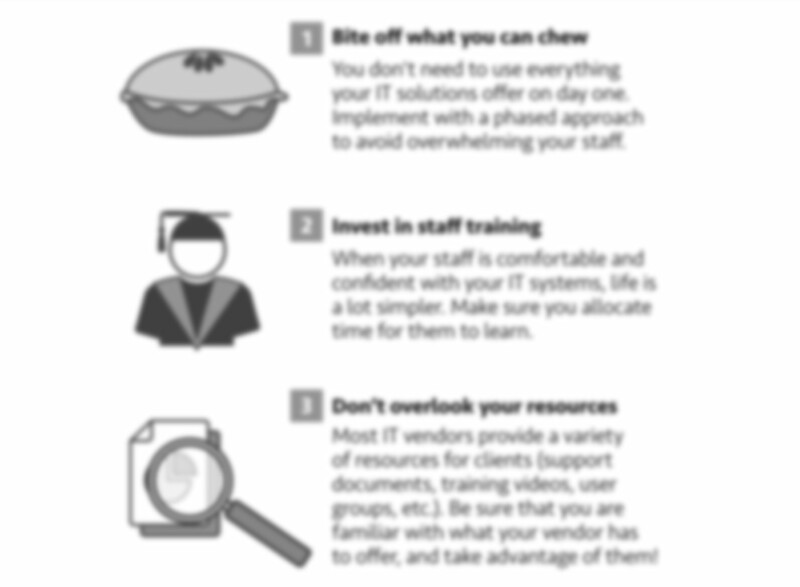 Download this infographic for five steps one of SIS’ clients recommends to maximize their own experience with their software solutions. Complete the fields with your information for the link to the download.